Combine ingredients in mixing tin; add ice & shake. Strain over ice into collins glass. 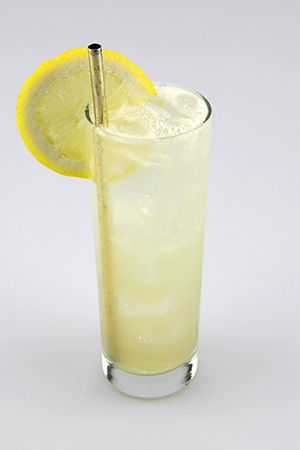 Top with club soda and garnish with a lemon wheel.